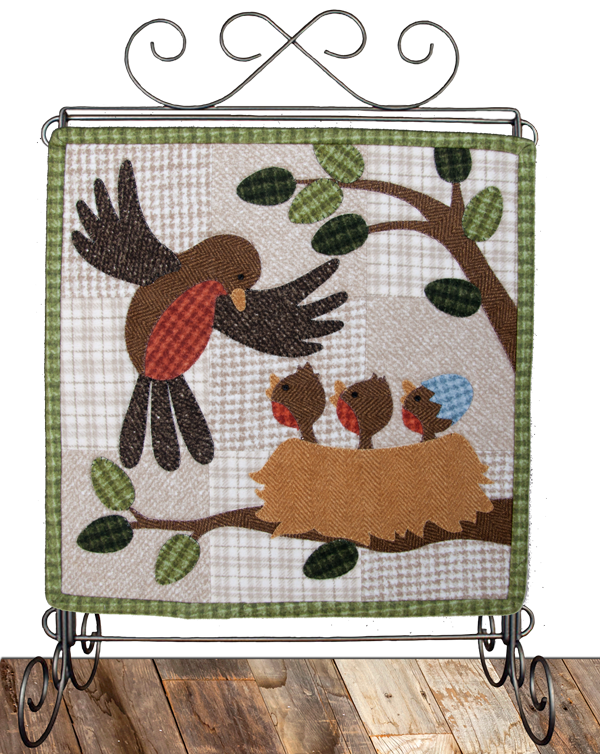 CLICK HERE to see the Pattern along with more project details. * All fabrics to complete either version (see more information below) of this quilt, including 2/3 yard for binding, backing, and quilt sleeve. Make a 12" square quilt, such as the one shown at left below. STAND NOT INCLUDED. Or, add monthly letter blocks, as shown at right below. 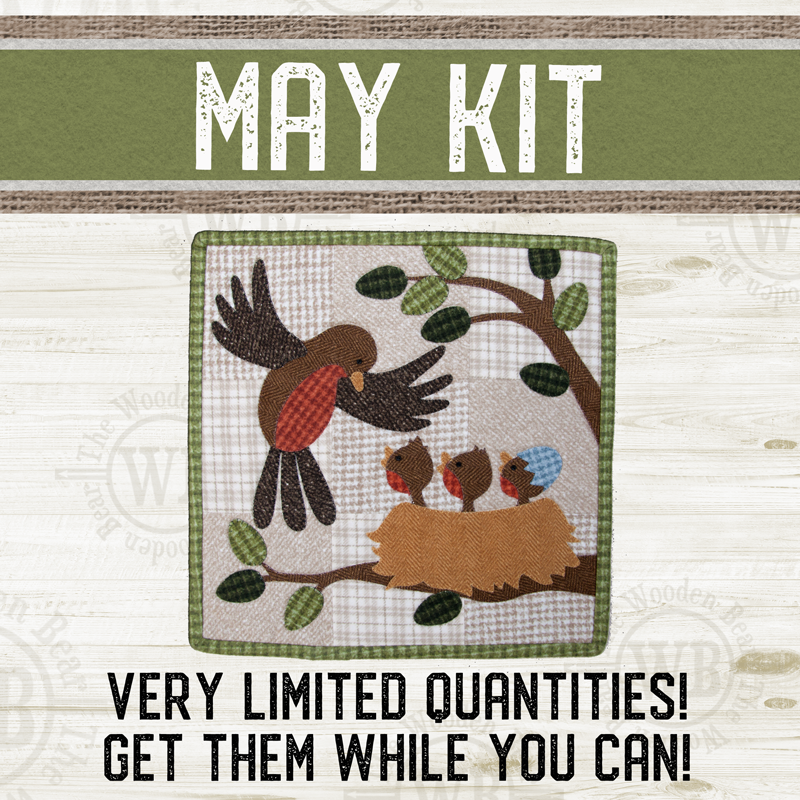 THE KIT INCLUDES ENOUGH FABRIC TO DO EITHER VERSION. Want to make it a full calendar? 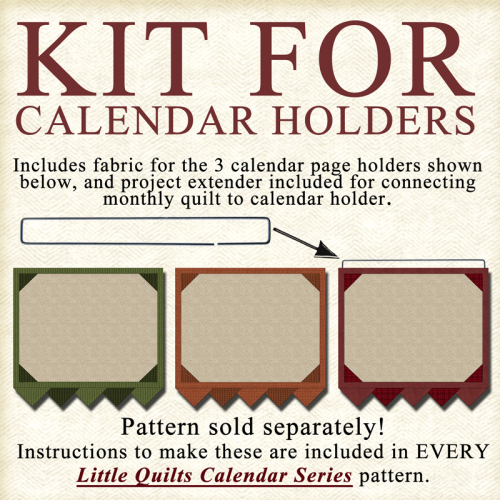 Purchase the CALENDAR HOLDER KIT to make all three color versions seen below. CLICK HERE FOR MORE INFORMATION. You can then download and print our FREE printable pages to display in the holder. 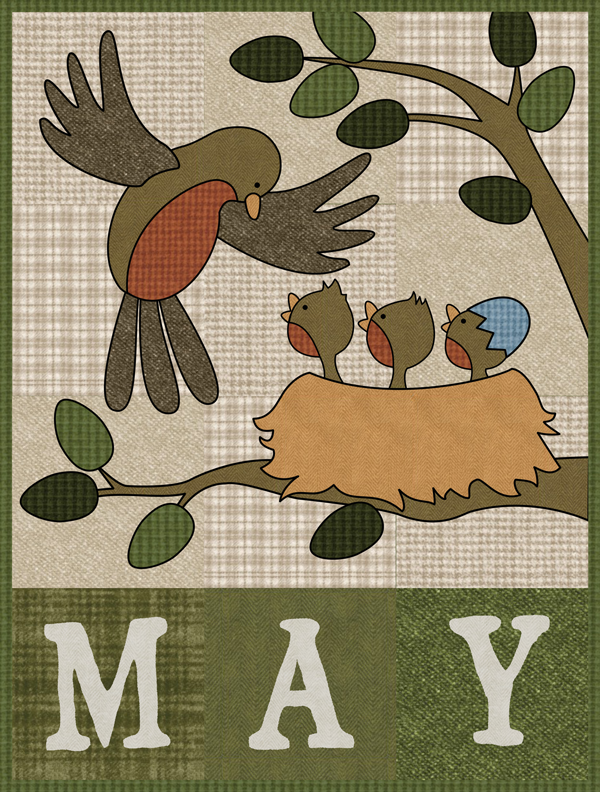 CLICK HERE FOR FREE PRINTABLE CALENDAR PAGES.